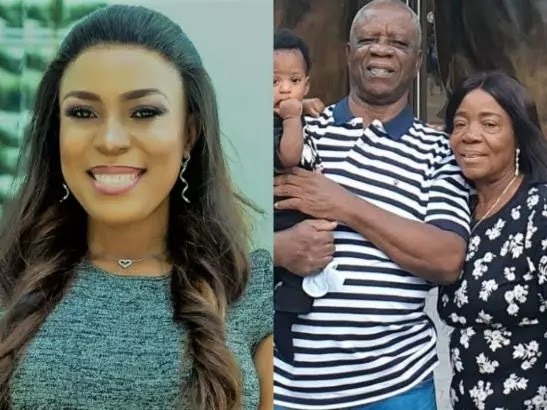 Big time blogger, Linda Ikeji has shared a picture showing the three most important people in her life. Seen from the picture above the three people are her mother, father and son Jayce. "The three most important people in my life! Papa, mama and Jayce. Be there for them. Do all you can to give them a happy life. To take care of people who once took care of us is one of the highest honours. Give your mum or dad a big hug for me."